An artist who has used mounted police officers to corral gallery visitors and, on another occasion, required museum-goers to pass an immigration lie detector test, is to be Tate Modern’s next commission for the Turbine Hall. The Hyundai commission, formerly the Unilever commission, is one of the most prestigious in contemporary art. It is also one of the most daunting, given the size of the space and its profile. 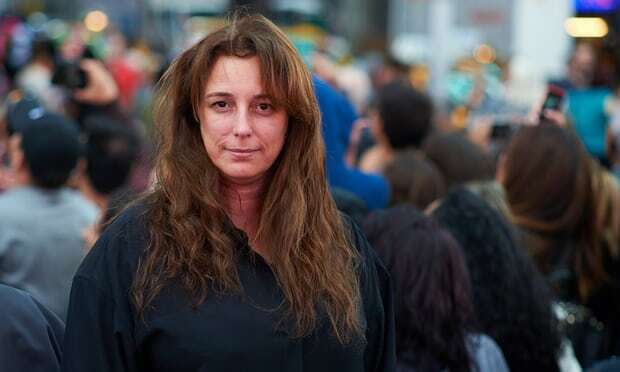 Tate Modern announced on Wednesday that the Cuban performance artist Tania Bruguera will undertake the 2018 commission, which will open in October. No details of the work have been given but Bruguera is known for her politically charged art. In one of her earliest works, The Burden of Guilt, Bruguera stood naked with a headless lamb carcass hanging from her neck and ate dirt. It was inspired by the stories of Cuban indigenous people who killed themselves by eating dirt to avoid capture by the Spanish. On another occasion, also naked and wearing a carcass, she pulled sheep through the streets of Ghent, in Belgium, with a bit between her teeth. In 2016, Bruguera announced that she would run for president of Cuba when Raul Castro steps down. Frances Morris, the director of Tate Modern, said Bruguera was well known for “the highly original and compelling way in which she addresses major political concerns of our time, not only within debates about art and art history, but also in the hope of effecting real change in the world around us. Tate owns the Bruguera work Tatlin’s Whisper #5, a performance piece that requires two mounted police officers, one on a black horse, the other on a white horse. They use crowd control techniques that might be used at a football match or a political demonstration to corral gallery visitors. It was last seen at Tate when it opened its extension in June 2016. Bruguera was at Tate Modern in 2012 with her ongoing project Immigrant Movement International when visitors had to line up and pass a lie detector test based on UK immigration questions before being given access to the gallery’s Tanks space. Previous Turbine Hall artists include Olafur Eliasson, who, in 2003, installed his Weather Project, which invited visitors to lie on their backs and bask in a scented mist and the rays of an artificial sun. The current commission, with three-person swings and a colourful carpet that is like catnip to children who like rolling down the slope of the hall, is the work of the Danish collective Superflex. Other memorable commissions have included Ai Weiwei, who filled the space with ceramic sunflower seeds; Carsten Höller, who installed hair-raising slides; and Doris Salcedo, who created an enormous crack in the floor. • Tania Bruguera’s Hyundai commission will run from 2 October 2018 until 24 February 2019.